How does a company show love? They look after your current and future financial well-being. If the love was truly mutual, your company would offer great pay and benefits AND take care of you into your retirement years by creating a long-term compensation plan. In most cases, the truth is that the love is not mutual, because such a plan equals money out of the owner’s pocket. It’s simple old-fashion greed, and you will feel the wrath of that greed once it’s time for you to retire. To retire and live a comfortable and healthy life, the conventional wisdom is that you will be living on 70-80% of your current income and you need to have a total nest egg of about 10 -12 times your current salary—which basically means, yeah, you’re going to need to be a millionaire to retire comfortably. National surveys recently shared in the Orange County Register demonstrates that only 8% of the population has a net worth of $100,000. And only 2.5% of the population has a net worth over $1 Million. Avoiding some tragic event, you will turn 50, you will turn 60, you will turn 70, 80, 90 and hopefully 100 years old. The reality of the situation is that once you pass age 65, staying employed is tough. So for most of us, ages 65 -100 is a time in our lives where we must have reserve funds to survive because it’s unlikely we’ll be able to earn. If you’re not planning for this at 25, 35, 45 and on, you’re crazy! But for most humans, ages 25 through 45 is simply about survival: paying the bills, saving for a home, paying off student loans, getting married, having kids, saving for college, and more. 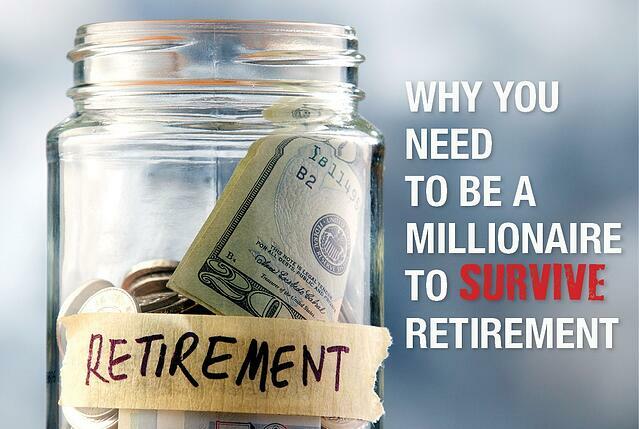 Retirement saving during these years usually consists of a 401k and any match your employer offers, but guess what? It will NOT be enough, even with normal compounding of annual returns and even if social security continues (fingers crossed). You will need more, a lot more. So where can you get it? Well, a second job would help or the far better option is to find a company that offers a long term retirement plan for its staff, paid for and vested by the company. Skyline and a handful of others in the construction industry are ESOP companies, which are 100% employee-owned and issue company stock to our employees. This is important for your future because it serves as a supplemental retirement fund at no cost to you. It’s FREE MONEY. I’ve worked for privately held S corporations & LLC’s for the majority of my life, sitting in both the employee’s seat and the executive’s seat. Believe me when I tell you that it’s extremely rare that these types of firms give a damn about your retirement. They’re offering retirement benefits to check the box and to remain competitive. They’re not evil, just greedy. After all, it’s their own money keeping the company alive and they pay big taxes on the profits, so they want to keep whatever profit is leftover. When I became CEO at Skyline, my plan was ESOP or bust. I’d rather make 100 people millionaires, than make 4 partners worth over $25M each. This is simply better for society, and we’re in need of some strategic social financial thinking these days to solve long-term problems. Our employees enjoy ESOP stock, 401K contributions with a $6,000 company matching plan and annual profit sharing that ALL goes into a long-term, tax-deferred retirement plan. The company provides 3 extra buckets of funds to help prepare for future retirement. This is how we share the wealth and show our employees that the” love is mutual”. The average construction field or office worker makes between $60,000 - $150,000, depending on their position, years of experience, etc. At Skyline, our employees make those same competitive annual base salaries with the ADDED benefits of ESOP stock, profit sharing and 401k matching. That means over the span of one’s career, the average Skyline employee is making anywhere from $500,000 - $1.8 Million MORE than the average construction worker working elsewhere. Those not working in an ESOP company could potentially be missing out on a financially secure retirement. It’s costing people a fortune to work at a privately-held company and they just don’t realize it. I hear all the time from entrepreneurs and executives that “greed is good”, it drives the engine of capitalism. I agree, it does. But when supporting that greed means citizens are left behind financially and we, the taxpayer, have to support them, eventually it will crush capitalism in the form of super taxes. The United States is now in the phase of social capitalism, where companies can be greedy but must take care of their employees long term. Basic terms, we are back to the days where companies must help employees formulate a robust pension / retirement fund as part of their employment and it has to go way beyond a 401k match. $1 Million to survive retirement. And only 2.5% of the population is there now, which means the remaining 97.5% of us will have long, hard, golden years ahead after working our butts off for the majority of our lives. This is why having something like an ESOP is so valuable. It is an extra bucket of funds, on top of your 401K, social security and any other savings, so that you have a comfortable retirement. So, will you be a millionaire? If you happen to work for an ESOP company, all signs point to YES. Skyline has been an ESOP company for 12 years. Today, about 10% of our staff have retirement balances over $1 Million through a combination of ESOP stock, profit sharing, and 401k + company matching; 30% of our people have retirement accounts over $200,000; over 60% have accounts over $100,000 and the others are well on their way. That’s over 70 people just at our company alone who fall in the top 8.5% of the United States. Can your company make this claim? If not, maybe the love isn’t mutual after all. So you want to be a construction superstar? By all means, earn your education, certifications and training. Take on internships and build your resume. But what is it really like to work in the construction industry? And what should you know before you jump in? We're here to offer advice the books won't teach you. Here are 4 things construction professionals today wished they knew before landing their first construction job. In commercial construction an important consideration is how long you want to spend working on a single project. If you want to experience a diverse portfolio of projects for top name brands (think Google, Airbnb, Uber, PayPal, Facebook), look for a mid-sized, tenant improvement firm with projects that average 8-14 weeks of construction per project. This will ensure that within the first year, you will have a handful of projects under your belt. If you fancy building big structures such as bridges, large campuses or high rises, be prepared to wrap up your first project in about 2-3 years--these projects are massive, and include many moving parts and you will not likely be exposed to the full spectrum of the project. Having the resilience to take on challenges as they come will help more than you know. Commercial construction can be stressful. This is a challenging profession, both mentally and physically. Ready yourself for changes, and be quick to react and adapt so you can stay proactive to meet schedule deadlines. "Nothing ever goes perfectly in construction and you should be good at improvising and problem solving when things get tough." -- Bryan Mendes, Construction Management Intern. 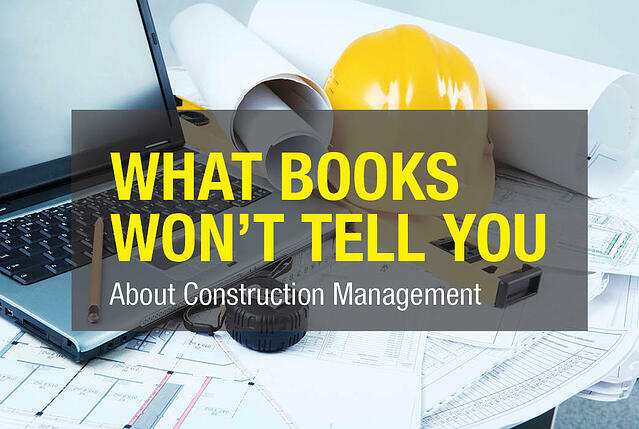 If you are considering going into field construction instead of the project management route, you can expect your own set of unique benefits, challenges and excitement. After all, you will literally be where the magic happens. Be prepared for the union vs. non-union dynamic, inconsistent work schedules and a tradition of trade secrets that get passed from generation to generation. One of the biggest missed opportunities in construction comes from pigeon-holing yourself into a certain role. An engineer is not just an engineer and a tradesman is more than a tradesman. In this industry, those who thrive are the ones who can be client-facing, the technical expert on the jobsite, and a process maven in the office. You are selling a service, and each employee has the opportunity to win work by positively representing your company in the office and the field.